This woman and fellow blogger is a seasoned speech therapist. She has a great blog about making food fun and suggestions for fussy eaters. 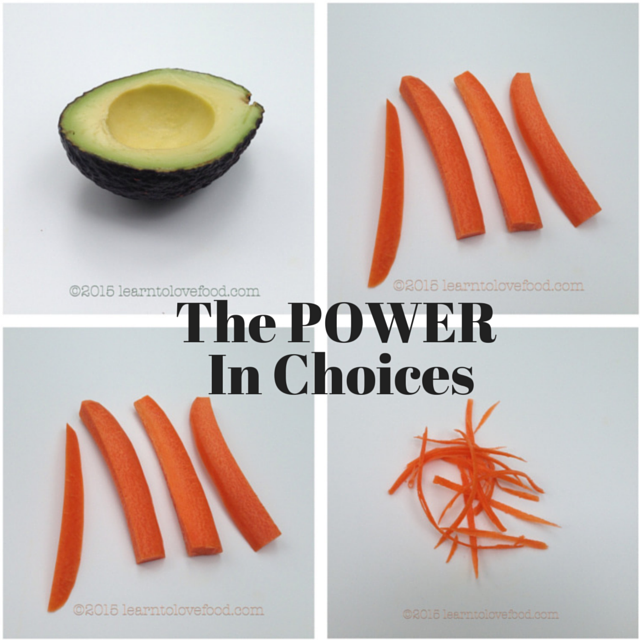 This post about choices has some lovely ideas for meal times and life in general with a little person. Giving kids choices gives everyone power. You control the situation because you get to choose what the choices are and your child has control because she gets to guide the situation. A true win-win!